MAUI RULES! BILLY & PAIGE TAKE PE’AHI CHALLENGE. FULL STORY ON THE WAY. Buoys 14′ 15 sec deliver a day to remember and it peaks during the final; surfers rode mostly 20′ sets but some 25′ sets (~40′ faces) rolled through, even a few 30′ waves! light Trades increased to strong through the day. SNN. PE’AHI, Maui/Hawaii (Friday, November 11, 2016) – The World Surf League (WSL) Big Wave Tour (BWT) Pe’ahi Challenge has been called on today and will commence at 7:05am (local time) with Men’s Round 1 in 30-foot-plus (10 metre) waves. The Pe’ahi Challenge will be contested by 24 men of the world’s best big wave surfers and first up will be reigning BWT Champion Greg Long (USA) and defending event winner Billy Kemper (HAW) in the opening heat of Round 1. Next to compete will be current rankings’ leader Grant Baker (ZAF) in Heat 2. 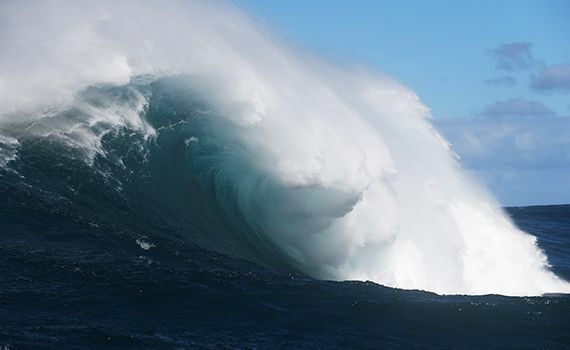 For the first time in WSL Big Wave Tour history, the world’s best female big wave surfers will compete at Pe’ahi with 12 individuals vying for the maiden women’s title. The women’s event will consist of two six-woman heats with the top three finishers from each advancing on to the Final. The prize money on offer for the Pe’ahi Challenge is $100,000 for the men’s event and $50,000 for the women.